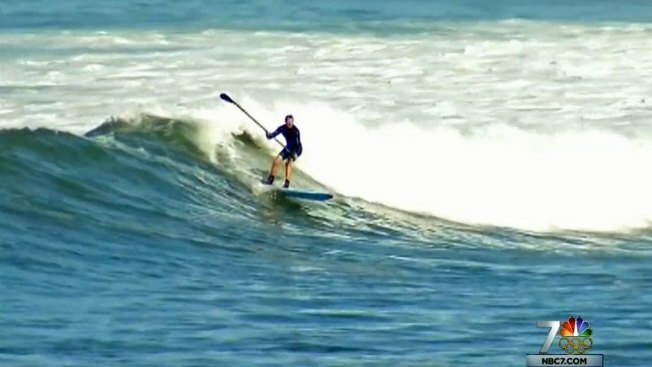 Standup paddleboarders and surfers enjoyed the unusually high waves early Monday as the first sign of a high surf advisory appeared off San Diego’s coastline. A high surf advisory will be in effect from 5 a.m. Monday until noon Saturday. Waves could climb as high as 10 feet tall, according to the National Weather Service. On Monday, NBC 7's meteorologist Jodi Kodesh forecasted sets in the 5-foot to 7-foot range with an occasional 8-foot set. NBC 7's Sherene Tagharobi reports on the high surf advisory expected to bring in highers swells than usual. “When it’s bigger, it’s always more fun to surf,” surfer Jake Le Beau said. “That’s what we live for. Doesn’t get much better than that,” said Bill Love, another surfer. San Diego averages eight to 10 high surf advisories a year. This week’s warning results from a storm coming from the North Pacific, sending swells between five and 10 feet tall. 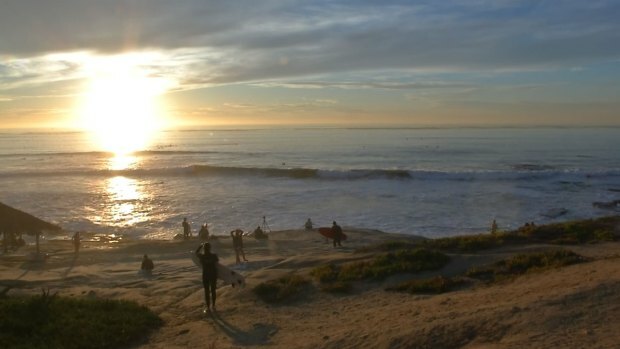 “It’s a long period swell, so if people come to look at waves, realize there could be lulls and a larger set coming,” San Diego lifeguard Rich Stropky said. Even those not jumping in the water say capturing bigger waves than normal is a real treat. “If you’re going to shoot surf, it’s pretty much what you wait for,” photographer Wayne Preis said. While tall waves may be fun to surf and beautiful to look at, high surf advisories are put in effect for a reason. Lifeguards say surfers and swimmers not familiar with large swells should stay out of the water because of an increased risk for surges and rip currents. “If people do go to the beach, if they’re going to use the water, we hope they’ll check in with the lifeguards there," Stropky said. "We can give them a little insight about the current conditions and things they should and should not do in that area."